The Live Translation Tool is a tool to translate the site, but instead of going to a separate tool to translate it, you can see the phrases right into the context, so you can make a more accurate translation into our site. 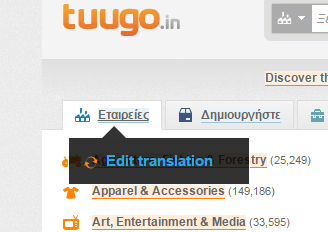 In order to use it, go to the Translation Tool, login, and then, click on the "Activate Live Translation" button. 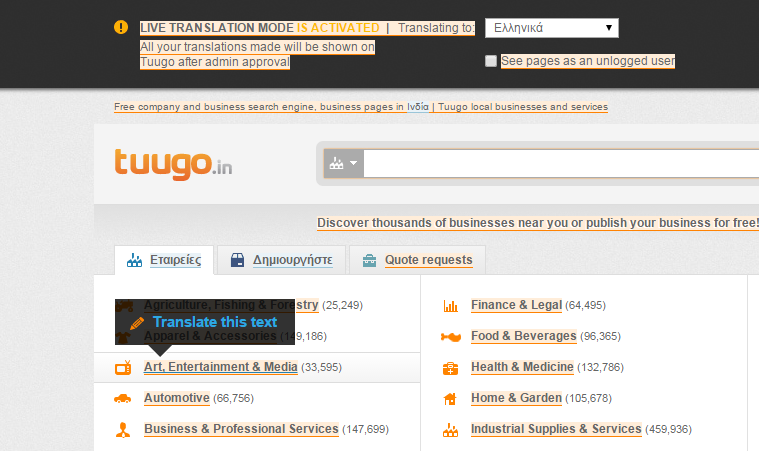 Once there, select the language you want to translate the texts in. There you will see the site. You can click on a link to go to other part of the site and keep translating on another page, or you can select "Translate this text". That means the text hasn't been translated yet. 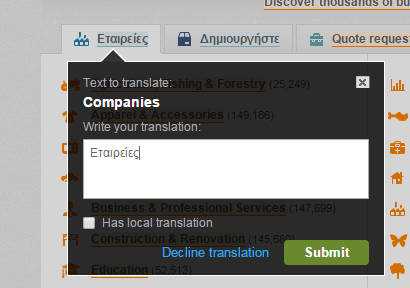 Clicking on a text will open a dialog box, in which you can enter your translation. Once you have finished it, click on "Submit". You can see some of the translated texts in blue. That means that the text is editable. If you click on a text that has been translated, you can edit the translation by clicking on the "Edit translation" link. Once you've clicked on it, you will see the actual text, which you can edit to improve the translation. Once you finish editing it, click on the "Submit" button. Sometimes, the text is well translated, but it's not correct in one country because of idiomatic uses. The Local Translations are translations that, for idiomatic and regional uses, are understood only in one country and not in another. 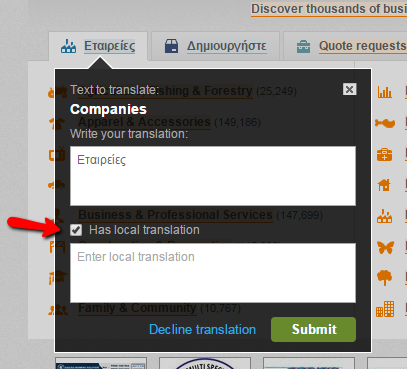 If you want to create a local translation, click on the "Has local translation" checkbox. 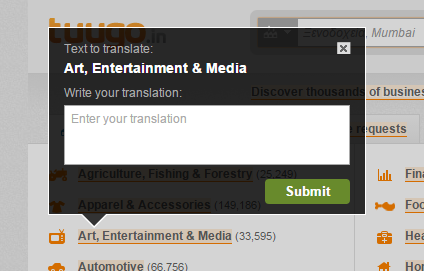 On the lower box, write the local translation, and once you finish, click on the "Submit" button. You can also translate the site as an unlogged user, so you can see all the site as an user which hasn't registered yet. In order to do that, click on the "See pages as an unlogged user" checkbox. Once you finish translating, you can click, at the right top corner, on the "Close & Deactivate MODE" X button.